20th Anniversary Gala Raises over $250,000! What a fabulous night! Over 200 guests came out to celebrate our 20th Anniversary, and honor Bill Leisman for his efforts on behalf of the ESSCO-MGH Breast Cancer Research Fund. Thanks to our extraordinary Auctioneer, Susan Wornick, we were able to raise over $250,000 for cancer research! In addition to meeting our breast cancer endowment goal of $5 million, we also launched our ESSCO-Slater Family Chair in Surgical Oncology. It was a wonderful night! Pictured below: Andrew Fyffe, Dr. James Michaelson, Missy Cohen-fyffe; Dr. Kenneth K. Tanabe, chief of Surgical Oncology, Bill Leisman; Susan Wornick, Dr. Peter Slavin, president of MGH and Lori Slavin. Jim & Silvia Kyrios Donate $25,000! As we approach the festivities celebrating our 20th year of fundraising for vital, high-risk breast cancer research at the Massachusetts General Hospital in Boston, MA, we are seeing an overwhelming response to our efforts to cure breast cancer. Thanks to Jim and Silvia Kyrios, long-time supporters of the ESSCO-MGH Breast Cancer Research Fund, we are that much closer to our goal. The Kyrios family just donated $25,000! For those not familiar with our organization, we are an all-volunteer community of family, friends and colleagues who have been working to fund targeted breast cancer research for 20 years. We have one caveat to our fundraising: 100% of the money we raise has to go directly to research. We do not take one penny off the top for our fundraising, social networking or administrative purposes. That means, when you donate a dollar to the ESSCO-MGH Breast Cancer Research Fund $1 goes to research. Thanks to the Kyrios family, we are now $25,000 closer to a cure! Please join us Friday, October 16th to celebrate our 20th Anniversary Benefit! Tickets are $250. 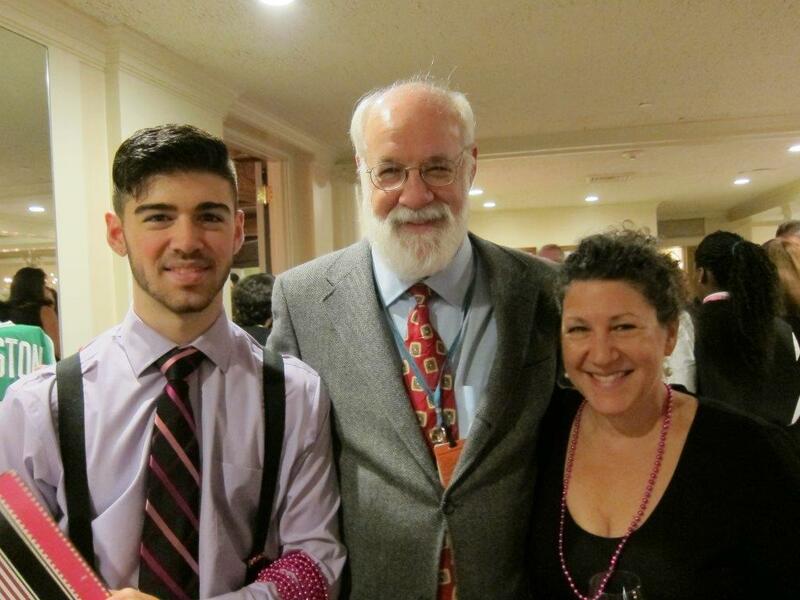 For more information about our fund or our 20th Anniversary Benefit, contact Missy Cohen-Fyffe at 603-635-9568. The Slater Family Donates $25,000! Thanks to the incredible generosity of long-time ESSCO-MGH Breast Cancer Research Fund supporter, Ellen Slater, we have an underwriter for our 20th Anniversary Gala! Ellen and The Slater Foundation have graciously donated $25,000 to cover the costs of our Gala, enabling us to donate 100% of the money we raise to targeted cancer research at MGH. We are unbelievably grateful to Ellen for all of her support and for her ongoing commitment to the ESSCO-MGH Breast Cancer Research Fund. Third-party Events Raise Over $30,000! In just a few short weeks, we’ve received over $30,000 from our amazing third-party donors! The Bass River Tennis Club started us off with a fabulous tennis tournament that netted the ESSCO-MGH Breast Cancer Research Fund over $8,000. Then the Pingree Girls’ Hockey Team held a benefit game and raised $2500! Next came the Reading High School Volleyball team. They raised $300! The Women’s Committee of the Meadow Brook Golf Club held their 5th Annual benefit bringing us $13,200! Shortly after, the Sharon Country Club held their 7th Annual golf tournament and raised just under $6,000! We’re looking forward to the September 13th Friends of Reading 8th Annual Tennis Tournament! It’s not only fun, it’s hugely successful! We are incredibly grateful to all of our third-party donors for their ongoing commitment and generosity. If you’d like to run a benefit for the ESSCO-MGH Breast Cancer Research Fund, let us know! We can supply brochures and goodies for your gift bags! One hundred percent of all money raised goes directly to Massachusetts General Hospital in Boston. We do not take a penny of your donation for our fundraising or administrative purposes! The ESSCO-MGH Breast Cancer Research Fund was established in 1994 by Albert Cohen shortly after his then-33-year-old daughter, Lynn, was diagnosed with breast cancer. Cohen, then-CEO of Electronic Space Systems Corporation (ESSCO), met with researchers and physicians at the MGH and learned that promising research is not often funded by the National Institutes of Health (NIH), because of its risky and unproven nature. However, it is precisely this type of innovation that could eventually lead to a cure. So Cohen established the ESSCO-MGH Breast Cancer Research Fund as an endowment to provide seed money for these types of novel research programs. He then contributed $25,000. His goal: raise $5 million for an endowment that would support this type of breast cancer research at MGH in perpetuity. Cohen then asked his friend, William (Bill) Leisman, to consider making a $25,000 donation to help initialize the fund. Bill jumped on the bandwagon. Next came Joseph (Joe) Bruno. He, too, donated $25,000. With the total at $75,000, the ESSCO-MGH Breast Cancer Research Fund was on its way. Cohen and his fellow donors had one caveat to their fundraising efforts: every single penny raised on behalf of the fund had to go directly to cancer research at the MGH. No money could be used for administrative or fundraising purposes. To that end, the organization has held an annual benefit in October that, to this day, consistently raises over $200,000. And, true to the founding donors’ pledge, every single penny goes directly to breast cancer research at the MGH. The Circulating Tumor Cells (CTC) microchip technology enabling researchers to understand the process by which metastasis occurs. The Surgical Oncology Breast Fellowship program selecting the best candidates from around the world and providing intensive surgical training in the diagnoses and treatment of patients with breast cancer and benign breast disease. Developing and refining a new strategy that allows surgeons to determine that they have clean margins during a patient’s first surgery. The development of web-based tools for accurately predicting the clinical outcome of individual breast cancer patients, as well as for accurately estimating the impact of various treatment choices on that outcome. In 2008, the ESSCO-MGH Breast Cancer Research Fund was honored as one of the one hundred extraordinary groups who have demonstrated an exceptional commitment to cancer care and research at MGH. 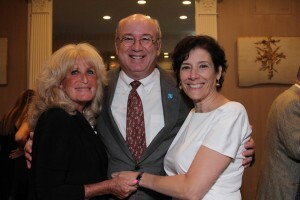 Recently, one of the fund’s long-time supporters and active committee members, Ellen Slater, was honored as one of the one hundred for her efforts on behalf of the fund, and in 2014 Susan Wornick was recognized as one of the one hundred for her efforts on behalf of the ESSCO-MGH Breast Cancer Research Fund. In October of 2011, the fund was recognized for its cancer research endeavors at an unveiling of the new Donor Wall at the MGH, and in 2013 members of the ESSCO-MGH Breast Cancer Research Fund were honored at the 4th Annual Community Fundraising Appreciation and Applause Reception at MGH. The ESSCO-MGH Breast Cancer Research Fund remains committed to growing its endowment through Community Fundraising Events to further fund even more innovative and ground-breaking cancer research. Additionally, the ESSCO-MGH Breast Cancer Research Fund has embarked on a mission to raise $2 million to establish an MGH Endowed Chair in Surgical Oncology at MGH. 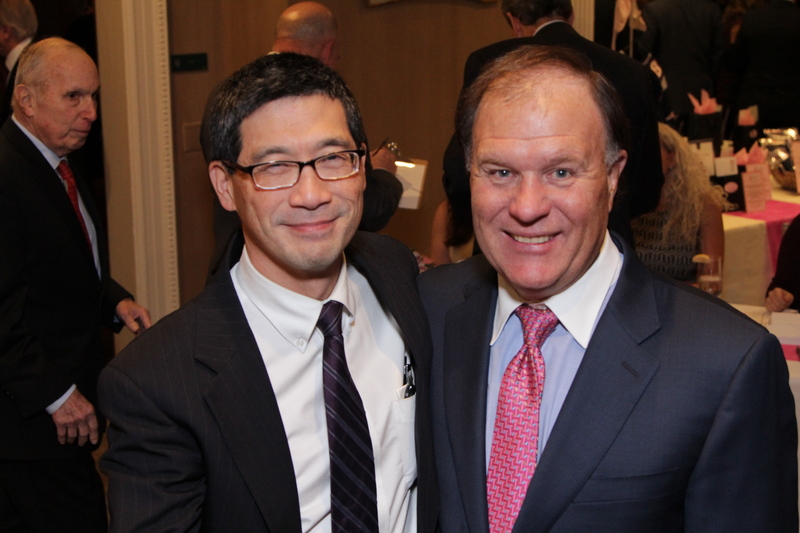 Dr. Tanabe, the man who has guided the ESSCO-MGH Breast Cancer Research Fund since 1999, will be the inaugural incumbent of the ESSCO-Slater Family Chair in Surgical Oncology. Dr. Tanabe has been a true partner with the ESSCO-MGH Breast Cancer Research Fund and his leadership has been instrumental in all of its endeavors, ensuring the hard-raised dollars make the greatest possible impact. In addition to vetting innovative breast cancer research projects, Dr. Tanabe’s own research focuses on the reversal of cirrhosis and prevention of liver cancer, and the development of novel viral gene therapy agents for the treatment of primary liver tumors and liver metastases. Dr. Tanabe’s clinical practice focuses on melanoma and liver surgery. Once established, the ESSCO-Slater Family Chair in Surgical Oncology will support Dr. Tanabe’s research, teaching, and leadership activities. When you weigh your charitable contribution dollars, please consider funding the ESSCO-MGH Breast Cancer Research Fund and putting your hard-earned dollars to work for cancer research. Members of the ESSCO-MGH Breast Cancer Research Fund are always eager to talk with individuals and organizations interested in working with them to raise funds on behalf of the fund. All donations to the ESSCO-MGH Breast Cancer Research Fund are tax deductible to the full extent of the law, as the fund falls under MGH’s 501c3 status. You can host an event on behalf of the ESSCO-MGH Breast Cancer Research Fund or donate directly by clicking the link above. To arrange a community fundraiser/third-party event or for additional information, please contact Missy Cohen-Fyffe or the MGH Development Office. Thank you for taking the time to learn about the ESSCO-MGH Breast Cancer Research Fund and the ESSCO-Slater Family Chair in Surgical Oncology, and for helping to cure cancer in your lifetime.